Projects Abroad is offering a special two week option for professional dentists in Jamaica this summer. Starting from August 10th, professional dentists seeking to make a meaningful impact with their skills, will be working in conjunction with non-profit organisation, A Child’s Smile. 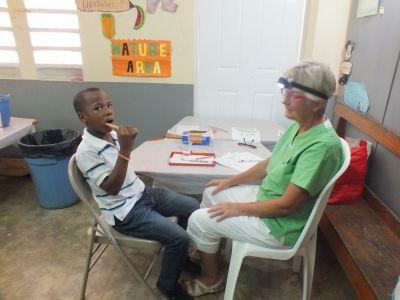 This organisation seeks to provide oral hygiene to the children of rural communities in Jamaica. Many of these children have never visited a dentist for a check-up and in previous years when medical outreaches have been held, there has been an overwhelming turn-out of children. Professionals signing up for this programme will be setting-up travelling clinics in school halls and community centres where procedures such as carrying out dental examinations and diagnosing patient’s dental conditions, extracting teeth and providing fillings and cleaning, scaling and polishing teeth, will be performed. This is an ideal opportunity to travel to the sunny shores of Jamaica and revel in a new adventure while also giving back to the local community. To find out more about how you can get involved in this worthwhile programme, click here.